Shahindokht Molaverdi, Iran’s Vice-President for Women and Family Affairs, says violence against women amounts to the violation of human rights, and should be stopped in Iran. “Fighting violence against women is a collective responsibility,” Molaverdi said in an address to the National Conference on Stopping Violence against Women on Tuesday. The VP lashed out at the traditional idea of household male dominance in Iran which tends to put women in confinements, and called for regulations on the issue to be tightened up and updated. “The regulations concerning prevention of violence against women should be updated and everybody is responsible to try to stop violence against women,” she said. 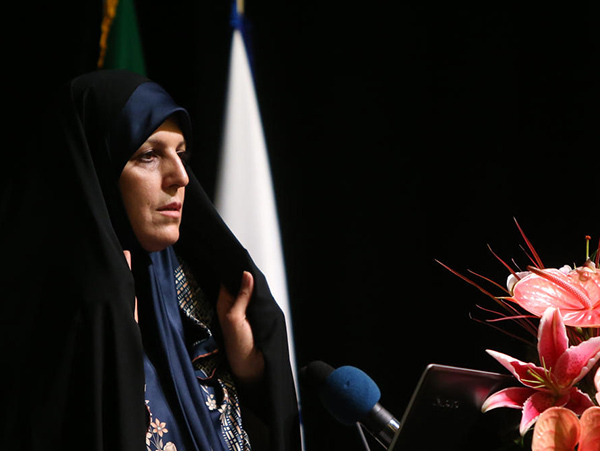 Molaverdi, referring to the measures taken by President Hassan Rouhani’s government to guarantee the safety of women in the face of violence, also said that an expert research team in the government has been taking care of the bill on stopping violence against women. “The expert group has finished reviewing the bill,” she said, adding that the government is closely working with the Judiciary on the bill. “We have many regulations concerning safeguarding women’s rights and stopping violence against them,” the Vice-President for Women and Family Affairs said. However, Molaverdi underlined the need for taking preventive measures to stop violence against women in the first place, IRNA reported. Since there is no single way to address the issue of violence against women, as the United Nations also urges, societies should work more toward developing preventive measures, she said.